No, the words are facing the inside of the jar, as stated in the original spell. You should not be able to see the words because the words are facing the ammonia inside the jar. Like many, I'm quite interested in this simple and seemingly effective spell, but had a question about the disposal. "After the situation is going your way, the spell is complete...thank the goddess or gods and pour the ammonia into a river ideally, cleanse the jar there too if u like...or like u said bury the complete jar,just not neccesarily upside down. Or just wrap it up really well and dispose of it." Do I release the paper into the river along with the ammonia? Many thanks for taking the time to reply (and Happy Easter!). The answer is "Yes" to your question about the paper, ammonia and river. However, I don't like the fact that it was said to just wrap it up and dispose of it. When we throw spells in the garbage, it symbolizes that the spell is garbage. So, I would like to edit that post. Do you have the URL to that post? I would really appreciate it! Also, have you seen this page? Please forgive the late response. This entry didn’t appear when I entered charminmuse in the search field, but on the first page (of 8) after I clicked her user name on that page – and was in answer to a question posed by j82. I'm trying to find the thread on using people's signatures and handwriting in reversing work. Would you point me in the right direction please? I have edited the post to reflect that one doesn't throw spell work in the garbage. Now, is this what you are looking for? Hi everyone. I just joined the forum im very excited to be with you guys! I did an ammonia jar but i used yellow ammonia. I looked for the white ammonia but the store only had yellow. So i bought it anyway because it was the perfect moon phase. I researched the difference between the white and the yellow and found out, the yellow one is diluted with water. My question is would the jar still work or do i need to do another one? Thanks for the reply! Im going to do another one. Should i work them side by side or dispell of the first one? I would dispose of the first one when and if you are done with it. You're most welcome Miss Aida. It was no trouble at all - especially considering the time and effort I see you and the other moderators put in to help us. Thank you for the link. I see that it mostly concerns petition and name papers but there are 14 pages to look through so I may find what I'm looking for. This is the situation: I have handwriting and signatures of the officials who recently terminated my employment as well as that of the person who made allegations against me (that led to the termination). I'd like to use those in justified revenge and reversing of wrong-doing work. What do you think? PS. once again, please forgive my late responses as I don't have internet access at present - but will in a week, phew! Yes, you can use those. Definitely. Thank you Miss Aida. Yes, they, their actions and the whole ordeal were despicable. If I may trouble you with another piece of information I'm looking for on the forum, I'd be grateful if you could point me to its whereabouts - if it's on here. I came across this item on the Lucky Mojo Store site: "Green Adventurine 4-Points Portable Crossroads" (MIS-ADG-PCR4), as well as the Amethyst, Clear Quartz and Golden Quartz. I'm intrigued and would love to learn more about their proper use and colour significance before I order them. In the future (as you are in the wrong thread right now) , just use the white search engine on the top right of this page. It is in the dark green area. I do realize how annoying it is for you to keep telling us not to post in the wrong threads. My search began with '4-point' and returned nothing and perhaps I should've just used crystal instead. Thank you for the link though. Hello. I started a ammonia jar a few weeks ago. I followed the directions and wrote the situation as is. After doing the jar, I saw online that when doing petition papers as with the ammonia jar, we aren't suppose to use the word (NOT) because spirits does not dicifer it! Needless to see i used the word a lot in my petition. Im not sure if it's taking effect. So it's this rule for other magic or hoodoo also? And if it is for hoodoo also, would I say unloving/ instead of not loving? Unfaithful, instead of not faithful? Im not sure if spirits understand (un) as a prefix of a word. I have never heard of that and I didn't know that Spirits were illiterate (I'm being sarcastic). 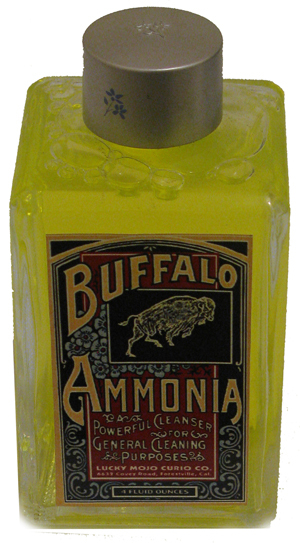 I didn't see this asked yet but what if you can't get your hands on ammonia? Will bleach work or only ammonia? I've looked at 4 different stores and nobody carries it or they're out. I can order some from LM but wanted to get this done before the next New Moon and I don't think I'll get the bottle in time. Are there any dollar stores in your area? I have never been to.a dollar store that didn't have HUGE jugs of ammonia at all times. No, I wouldn't recommend substituting bleach if the spell calls for ammonia, which has a long history in the tradition of hoodoo. You'll give you work a better chance of succeeding if you follow the spell. Quick question about jars- I have seen this question asked but could not find an answer. What do you do if the paper and tape keeps falling into the jar after turned upside down. Do I need to start again? Why is this happening? Well, you said that "..the tape keeps falling off..."
Does this mean that you keep opening it and fixing it? I haven't opened a jar. I have made a couple and on each one the tape comes loose and on some the petition starts to fall in the jar. Then out of nowhere leaves and starts staying elsewhere. Could I have made a mistake? That it hasn't worked? Backfired? So I guess I'm asking what went wrong? And also if you think I should start again or get rid of them due to result being not as desired. Do you dispose of the same as a jar that has worked? Or just empty contents? If I say: "I want to be rich" then, the spell will manifest and me spending the rest of my life wanting to be rich. Whereas, if I say: "I will be rich", then my chances of becoming rich have increased. If the spell worked just for a little while, there might be spiritual obstacle. I am a new member to this site and one would like to thank you all for having me, and hope I am welcome with open arms. I am on this post with a question around the ammonia jars. I did 3 the other night and when I saw them yesterday (1st day) the ammonia sort of evaporated. I did a thorough check to ensure that it did not leak. Does anyone have any tips on this, has had this experience, did I do something wrong, is there something I can do differently? Welcome to the Lucky Mojo forum. Did you screw the lids on tightly? If so, I'm not sure what caused this. I would just redo the jars. When using an Ammonia Jar reversal for love to improve a relationship do you need to put the person's name on the petition? I normally do not post but have read the forums extensively. I recently decided to try my hand at this and see where it goes. On the ammonia jar, this stuff is instantaneous and works! My first jar was for a court issue on multiple tickets. I did the jar on the morning of, anointed a tea light candle with court case, fast luck, influence and read a couple psalms. Then prayed dismiss ticket with a petition to dismiss ticket anointed with court case oil, fast luck and influence oil. Went to court about 6 hours later, judge waives all fines and fees that he issued me! I was blown away! This worked within hours! 2nd ammonia jar was for a condition between my boyfriend and I, we broke up and I wanted us to get back together but I did not want to make the moves. We are not on bad terms but we don't reach out and he is very stubborn and so am I. I did this with red ink pen, added some ginger powder in for speed and anointed it with a tea light candle with petition for him to contact me etc. I did this jar around 2 am one night. The next day at 10:30 am, He calls me! This man never calls me, he only texts. He called to ask for someone's number but still, after 3 weeks of not talking. This also worked within hours! since then there has been other incidents as well. For example, when I want to have him contact me, I take it out and shake it slightly and light a tea candle, a reason comes up for him to call or text. 3rd ammonia jar, someone touched my first jar of ammonia on court case for the tickets, so I went and redid a second jar for my 2nd court case with a different judge but the same type of tickets for the same issues. Anyhow this judge gave me 2 tickets for $700. I did the same exact thing, this time around 5 am, court was 2 pm that day. I was so tired but I did the exact same procedure. THis judge was DIFFICULT and I even applied fast luck oil, court case, influence and crucible of courage on me because it was that intimidating. My last ammonia jar was today, so my ex calls me an tells me he got fired from his job. Well I got what I wished, for him to call me just not like that.. Anyhow he asked I pray for him so I said I would. I did a jar where he would get his job back. Then I put some ginger and cinnamon and a piece of his concern in the jar to link to him. Then I anointed a white candle stick with the intention, "so and so is working at such place. Success!! " I read a psalm 4 and some other psalms. I annointed candle with steady work, fast luck, influence, crown of success and also did a petition anointed with the same oil as well to burn the candle on. I did this at 6:30 pm and prayed for him. At 7:08 pm when i Felt the prayer was answered, the candle was still burning, he calls me and tells me his manager just called him and they had determined it was not his fault and he can come back! wow 30 minutes… I did ask him to pray to God as well to get his job back earlier and to take on the belief that he still had his job and not to worry. Alright I hope this gives you guys hope. I love ammonia jars it has been so instantaneous as If my working is working directly on real time to the targets. I have working on a doll baby and I believe it works but it has also affected me in a negative way and probably because I am not cleansing properly afterwards. Yes you do. Scroll up and read through this thread to learn more about ammonia jars! Wow that's fantastic! Thank you for sharing your story! What are some things (if any) that can be added to an ammonia jar to help the work being done? Herbs, oils, stones? Can candles be done in conjunction with it or on top like the honey jar? I am looking forward to attenlting my first jar spell soon! Thank you! IamBlessed3 is right; you only put ammonia (and the petition paper) in an ammonia jar. There is beauty in simplicity! This isn't reversing work, because you aren't "returning to sender" bad magic that has been sent your way. So no, you don't write your petition backwards. And the instructions just say to write out the petition as it's currently happening. So I would suppose that you would write it like you describe. That's an interesting idea ... except for one thing: Ammonia brings on terrible breathing problems, so i would worry about the magical connection if you use of it to reverse breathing issues. Is there an alternative liquid that I could use? But I fear ‘not dating’ could backfire and become ‘john doe is married to jane doe’ or something to that effect...? Just to clarify- what I mean is married would be ‘not dating’- but it isn’t the desired outcome. The original person who posted the ammonia jar spell says you're supposed to write out the situation as it IS RIGHT NOW. Ok this will be my first ammonia jar spell. 1) I heard it's more effective on a Saturday, is that true? 2) how will I write (with examples) my petition my boyfriend broke up with me, won't talk to me he's ignoring me , being nasty to me cold, I want the situation to change as where we're back together , he's not nasty and cold anymore or ignoring me . please help , he's really really really really really really really stubborn I used a lot of really because he is extremely difficult. 3) do powder ginger speed up the process? 4) I read use white paper but I see a lot of people using brown paper bag, can I wrap brown paper bag around the jar? 5) I read as well write as it is, ok then pour the ammonia in turn it upside down wrap it in a bag place it in a dark place . But how can I used a candle with different oils to put into this jar? 1. You can do this spell on a Saturday if you wish but you don't have to. 2. 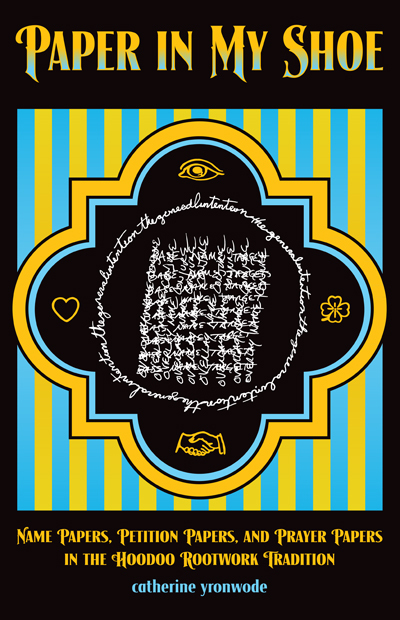 According to the directions for the spell, you write out the situation as it is RIGHT NOW. So yes, you'd write something like "My boyfriend has broken up with me and isn't speaking to me, etc." 3. You don't add herbs to an ammonia jar. It's just ammonia. 4. The spell calls for white paper but I'm sure you could use grocery bag paper. You don't wrap it around the outside of the jar, you tape it inside, with the lettering facing inward. 5. You don't burn candles on an ammonia jar. And also read the other posts in this thread. Good luck to you. 1) Am I working this right "My boyfriend has broken up with Me and isn't speaking to me he avoiding me." Am I accurate? 2) A lot of people are saying white paper but I see a lot using brown paper bag, so I wanted to know, which one is more effective? I don't know how I missed this, but I am going to try this to finally turn my situation around. It sounds so simple! Hi everyone, I am going to make several ammoniajars today. Has anyone experiences with longterm problems. Let’s say that the ammonia has to reverse the situation towards a situation of 5 years ago? I'd suggest you go back through multiple pages of this thread and read the other posts; you'll probably find accounts from people who have done this spell. Would I be able to do a second jar, focusing on a specific aspect of the situation to increase effectiveness? or would that just cancel out the original jar? I really need to see results here. Also, how can I dispose of these? Can I flush the ammonia and wash/reuse the jar? 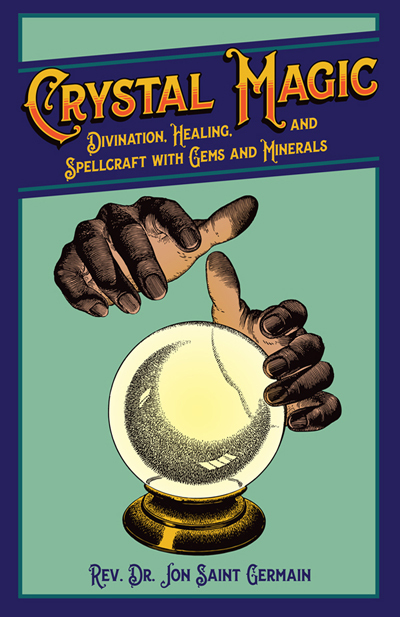 and this web page i wrote on "Real Magic Spells"
Thank you! One more question on timing. I did this jar 7 days ago after a miscommunication with a friend where we have lost communication (This situation COULD be turned around easily with a change of heart..it's nothing permanent)... so I'm wondering how long ammonia jars usually take to work? I got an Oracle card reading a few days in and it was shockingly accurate and shed a positive light on the situation going my way but I haven't seen any actual evidence. I'm considering just dumping the contents of the jar and scrapping the spell but wanted to check in here first. In all of your experience, is this something that generally takes a week or two or are we talking months? Is there anything I need to do to daily or is it a set it and forget it type of working? It ought to work quickly. No one should be waiting on "a change of heart" for months, with or without prayers and magic. I am utterly confused as to some online information from various places. It has actually kept me from doing my ammonia jar. Why are there so many places online saying never to use the word ‘not’ in the current situation for an ammonia jar? For instance if the current situation is in fact ‘john doe has not called me’ why cant i write that? People keep ‘warning’ me against it! I am sorry to say that we cannot help you with your confusion. We have no knowledge of, nor any responsibility for what is said elsewhere online. I personally do not know why people post such "warnings." You can ask them why, if you think they will reply. If there is no way to contact them or if they do not reply, you are on your own when it comes to believing their words. We can, however, tell you that this spell, as written, has no warning that forbids the use of the word "not." If the current situation is best described with the word "not," then use the word "not."